Easy-to-make beignets that are deep fried so the outside is golden brown and the inside is light-as-air and fluffy. Served piping hot dusted with a thick layer of powdered sugar. An irresistible French doughnut that is a New Orleans speciality. Today’s post is sponsored by Red Star Yeast. They asked me if I’d like to create an easy beignet recipe to share on their website. I jumped at the chance because making beignets to share on Barbara Bakes has been on my list since I visited New Orleans a couple of years ago. When we were in New Orleans, my husband and I did a beignet crawl, sampling beignets at many places throughout the city. The Cafe du Monde in the French Quarter’s is famous for their beignets and they were great, but the Cafe Beignet’s beignets were lighter and stole my heart. Since I was serving these beignets at breakfast, I wanted them to be quick and easy to make, so I used Red Star Platinum Yeast. It’s a premium yeast with dough enhancers that works fast. 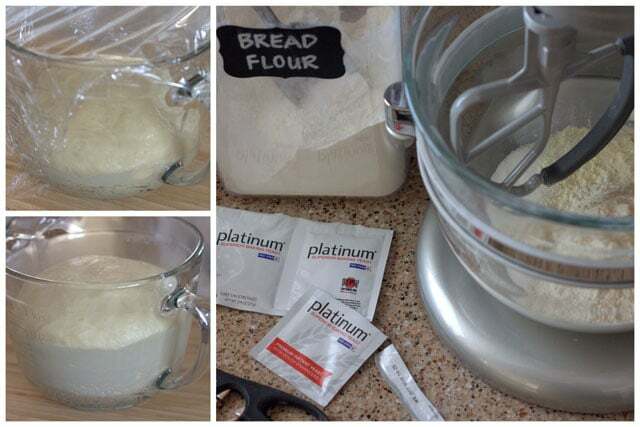 I love that you can mix it with your dry ingredients, add warm water and let the mixer do all the work. If you’re new to baking with yeast, Red Star Yeast has some great Baking Tips to get you started. This recipe is super easy to make. The dough is easy to work with and you don’t have to worry about the beignets being the perfect shape. When you’re deep frying, it’s especially important that your oil is hot enough before you add the dough. That helps keep the beignets from absorbing the oil and keeps them light and fluffy. You’ll also want to make sure the oil comes back up to the proper temperature before you add the next batch of beignet dough. It’s Mardi Gras time! Fat Tuesday is tomorrow. So you should whip up these easy-to-make, man-catching beignets asap! You’ll be glad you did. In the bowl of a stand mixer, using the paddle attachment, combine 2 1/2 cups flour, buttermilk powder, sugar, yeast, and salt. Add water and eggs to flour mixture. Blend at low speed until moistened. Beat 3 minutes at medium speed. Switch to the dough hook and mix in the remaining flour a little at a time, to make a soft dough, add more or less flour as needed. Knead the dough for 5 minutes until smooth and elastic. Place dough in lightly oiled bowl and turn to grease top. Cover; let rise in warm place until double about 30 minutes. Add oil to a deep fryer or large pot until it is 2 inches deep. Heat oil to 360°. Punch down dough. 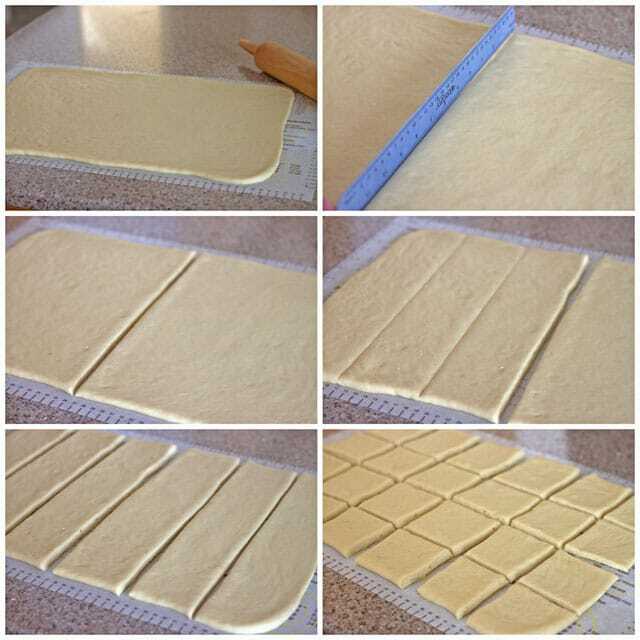 On a floured surface, roll the dough into a 18 x 12-inch rectangle. Use a pizza cutter to cut the dough in six rows, each 3 x 12-inches. Cut each row in to four 3-inch squares. Carefully drop 3 beignets in oil and fry until puffed and golden brown, about 3 minutes, flipping frequently. Repeat with remaining dough. 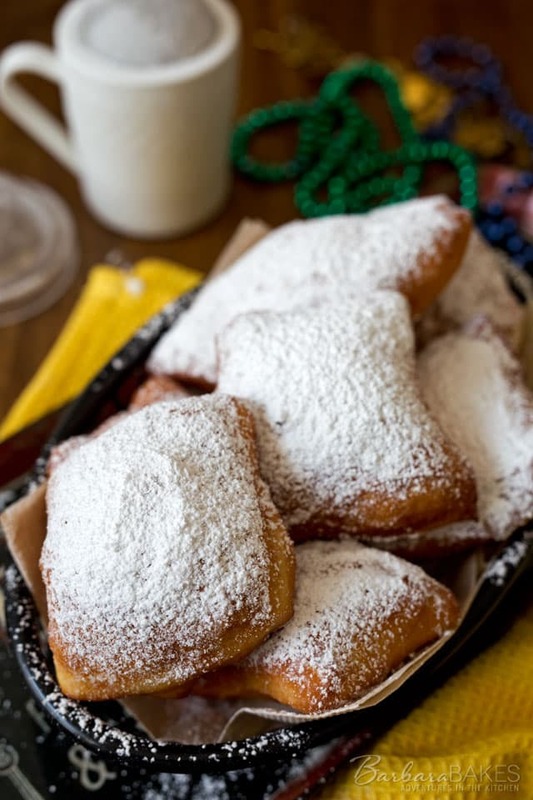 While beignets are still hot, sprinkle heavily with powdered sugar. Serve immediately. Has anyone ever developed a recipe that you can “bake” the Beignets in the oven?? 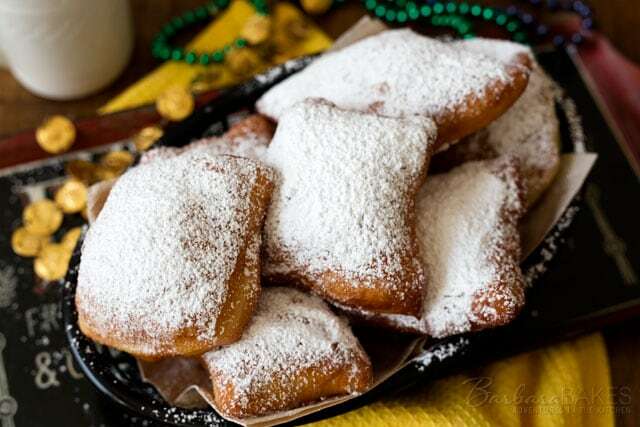 Hi Laura – I did find this recipe http://www.goodhousekeeping.com/food-recipes/a9703/oven-baked-beignets-recipe/ but I don’t think it would be the same as fried. 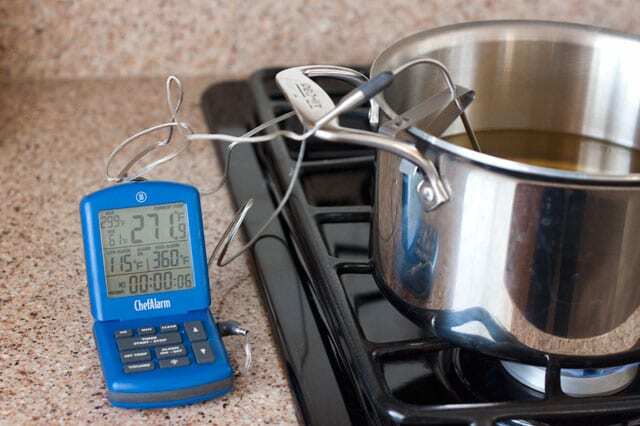 Hi Jack – sorry you had trouble with the recipe. Sounds like maybe your oil was rancid. Goodness, this does look easy. I’ve had the Cafe du Monde in NLO a few times. I just have to remember not to inhale, while taking a bite (spoken from experience after sputtering powdered sugar) . I was just at Disneyland and almost bought some, but didn’t want to brave the long lines. Now, I can make them myself! Well done. I think we’ve all inhaled that powdered sugar lol.